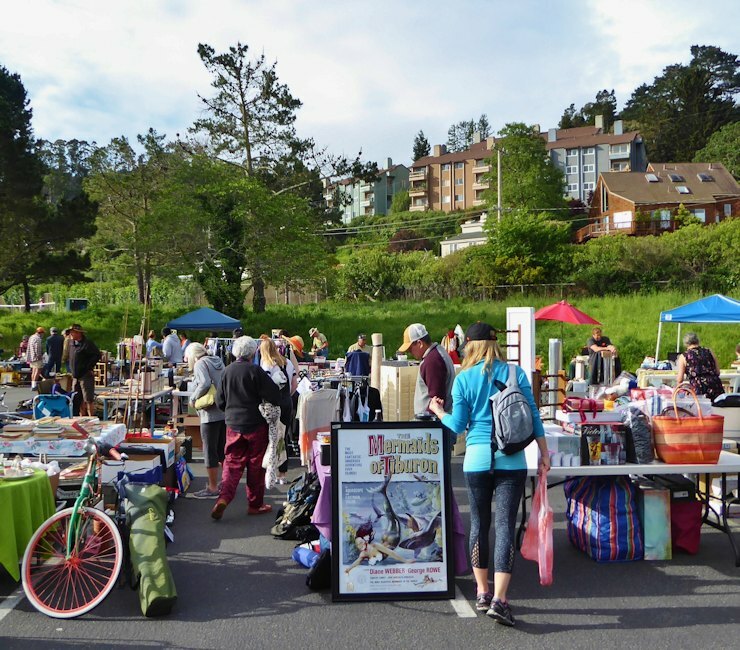 The Spring yard sale will be held on Saturday, April 27 from 9:00 a.m. – 2:00 p.m. in the MLK parking lot and basketball courts. Admission is free to the public, and there’s room for over 80 booths. Sellers are still wanted. Only garage/yard sale items are to be sold. No craft/food/retail vendors are allowed. To register, call (415) 289-4152, or come in person to the Recreation Counter at 420 Litho Street. People who queue in person get priority over phone calls and emails. Booth spaces rent for $15 – $31 each. A limited number of 6′ tables are available to rent for $13 (one per booth); 36″ round tables are available for $8. View the 2019 City Wide Yard Sale map of seller spaces. Due to the construction of Pickleball Courts the booth numbers and map have changed. Please consult the NEW MAP before you book your space and determine the load-in time for the space of your choice. In case you miss this one, or you’re just hooked on yard sales, there’ll be another one on October 5.